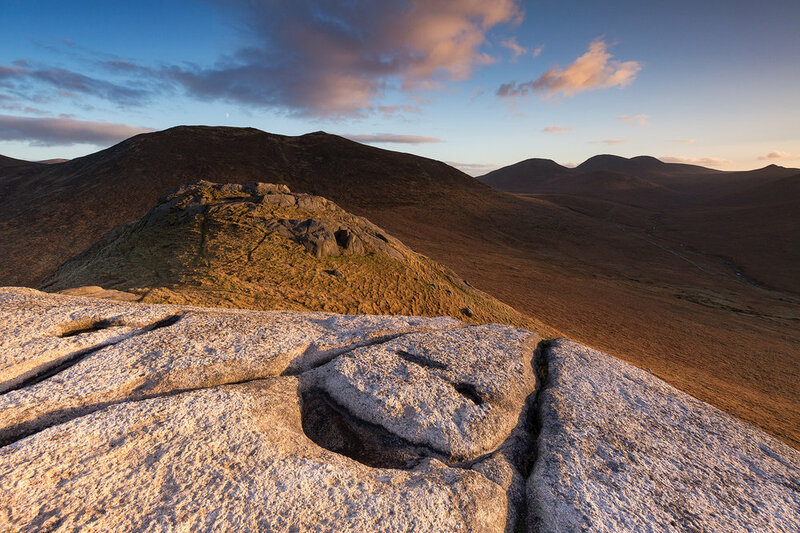 Location: Hen Mountain, the Mournes. Included: All on-location tuition, hot drinks. Not Included: Any travel required to and from the starting point at Sandbank Road car park. 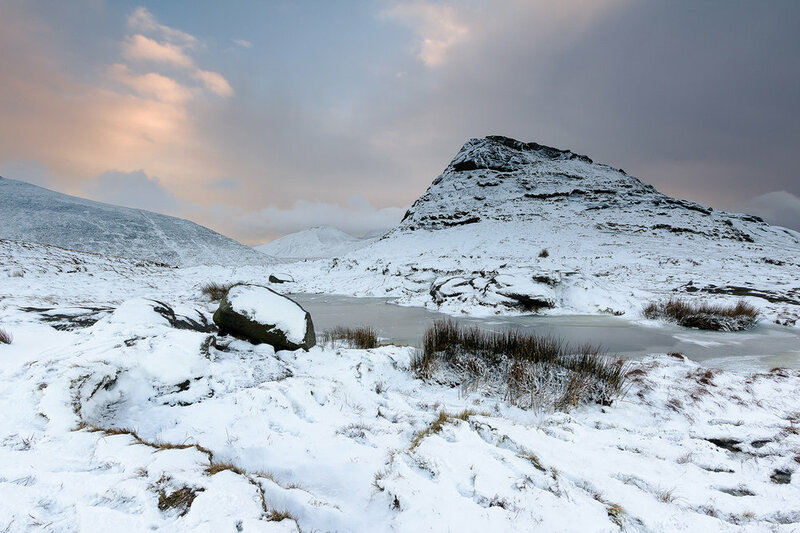 This workshop is perfect for those looking for the ‘mountain experience’ but without the massive physical effort! 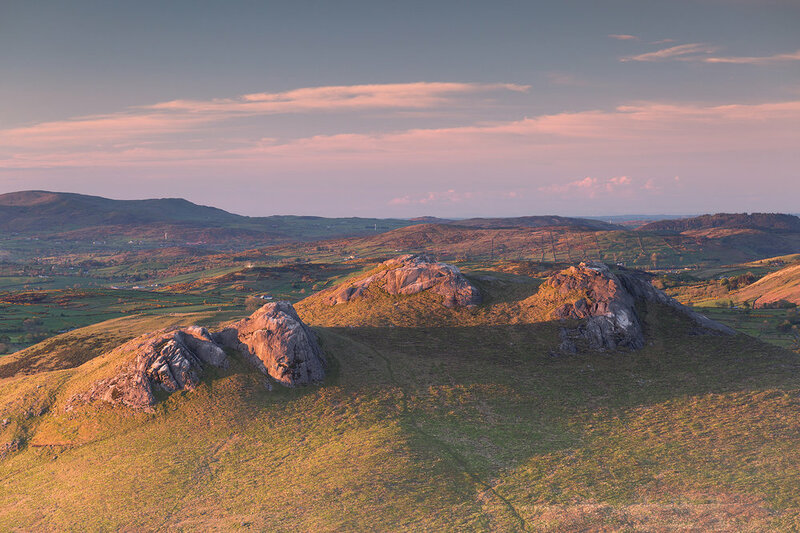 For all it’s size, Hen packs in a fantastic variety of views and compositions facing out over the western Mournes. I’ll guide you to my favourite spots and offer technical advice so you’re best prepared for sunset. We’ll meet at the car park on the Sandbank Road and after the formal introductions start the 30 minute walk to the top. We'll stop for a short breather and lunch. I’ll ask you individually what areas of your photography you’d like assistance with. There’s no right answer to this- it simply helps initiates the conversation and allows us to build your skills. We’ll spend the afternoon jumping between different viewpoints. Our group is small affording ample time for me to deal with you all on a 1-2-1 basis.. At 3:15pm we’ll enter the ‘golden hour’ when hopefully we’ll be treated to a beautiful sunset. We begin the journey off the mountain, arriving back at the car park at 5pm. The price of the workshop is £50 which is payable in full upon booking. To participate, please follow the link where you'll be re-directed to a check-out page.